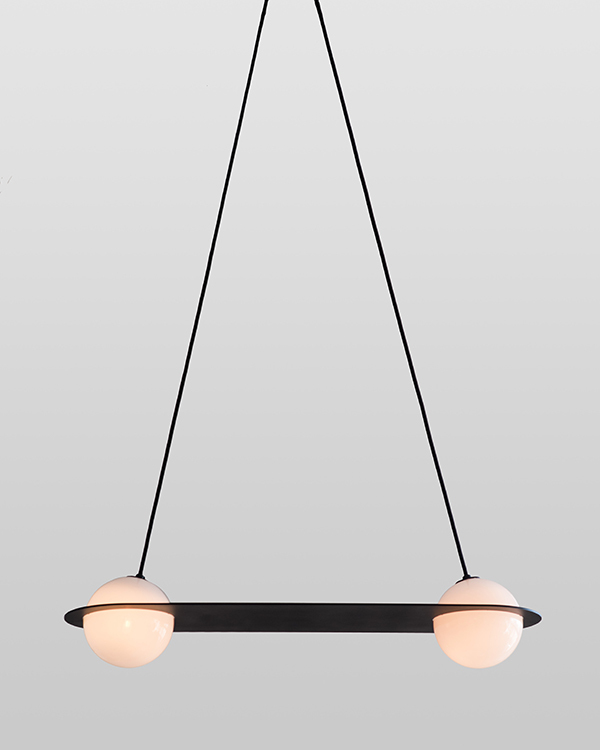 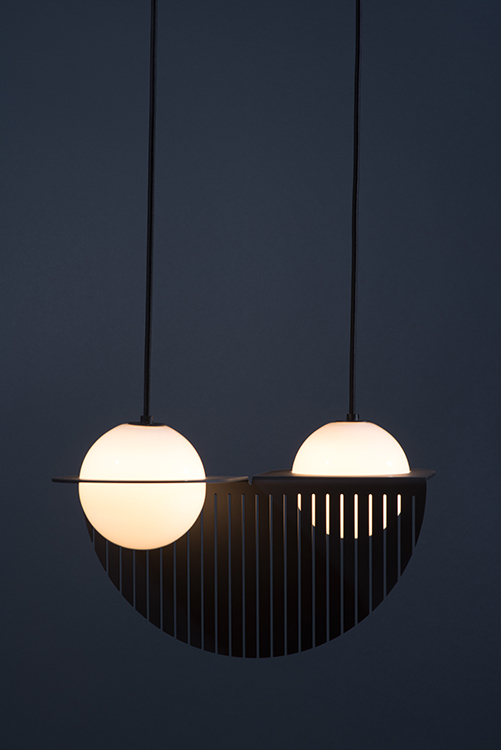 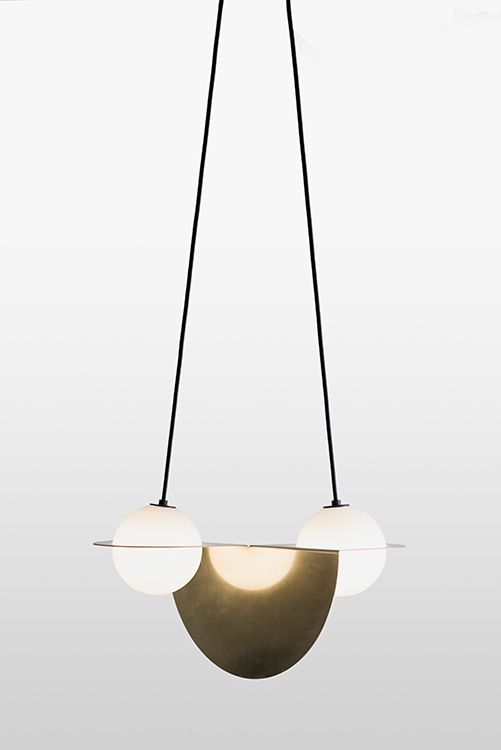 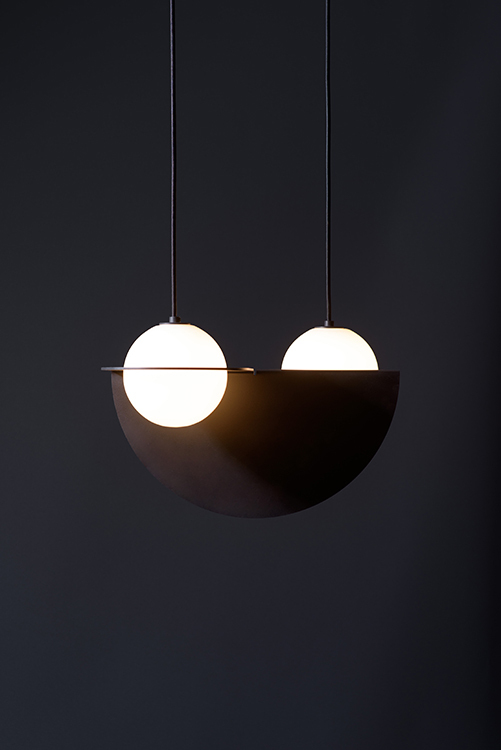 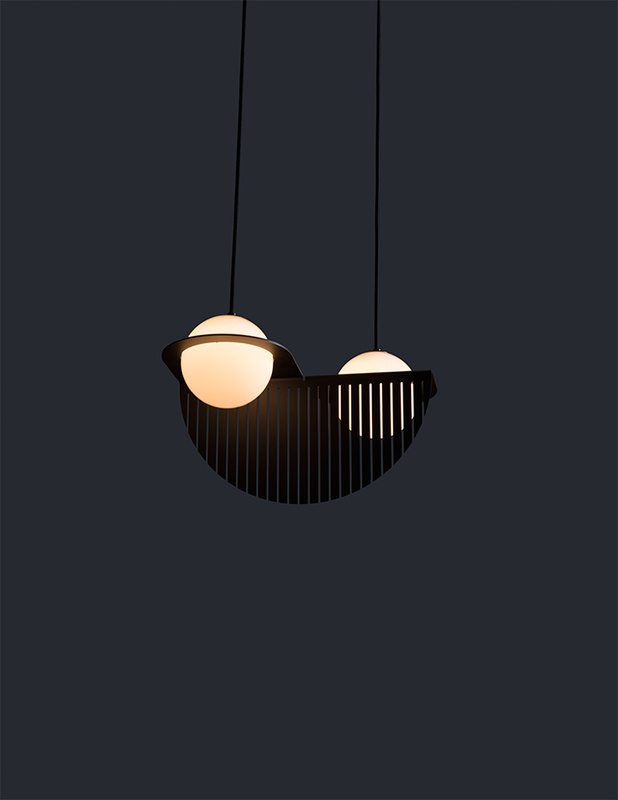 The studio distills a globe pendant’s duality between sphere and circle to its essence. 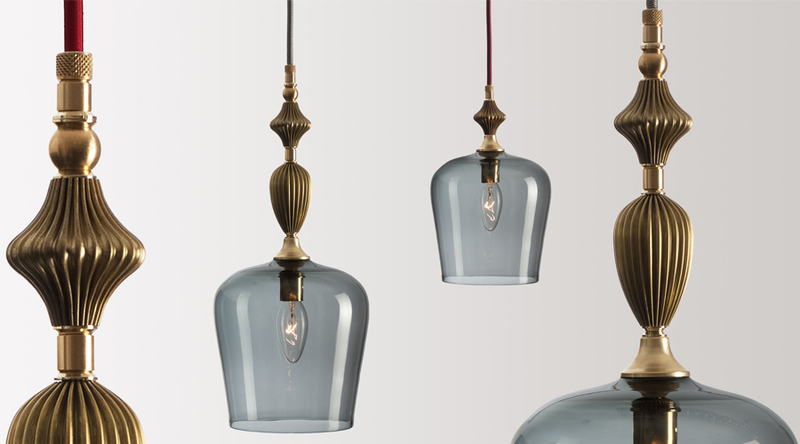 In keeping with its commitment to working with local, skilled trades, the team called upon the expertise of a Quebec glass blower to craft this latest piece. 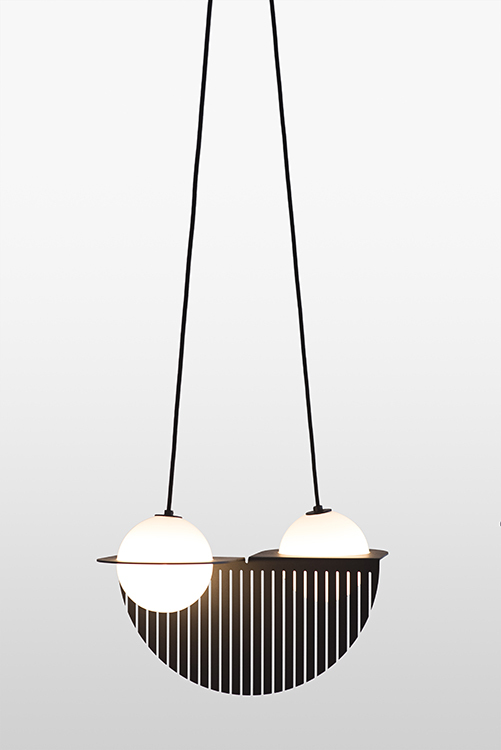 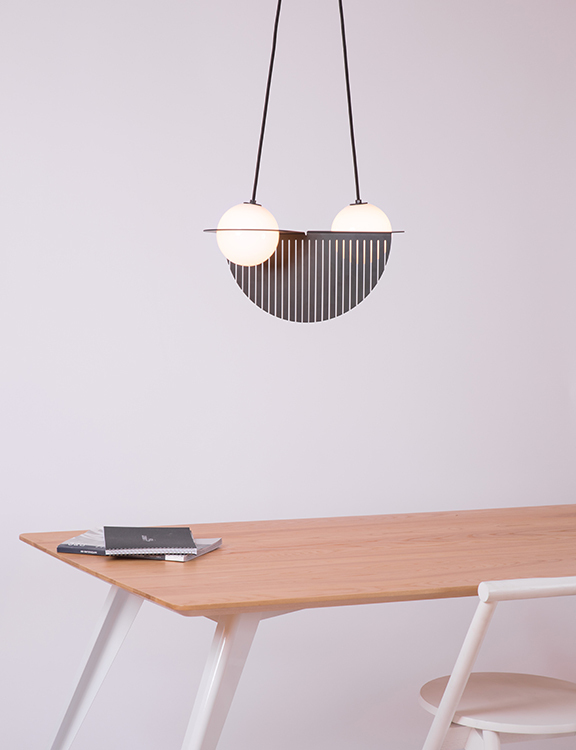 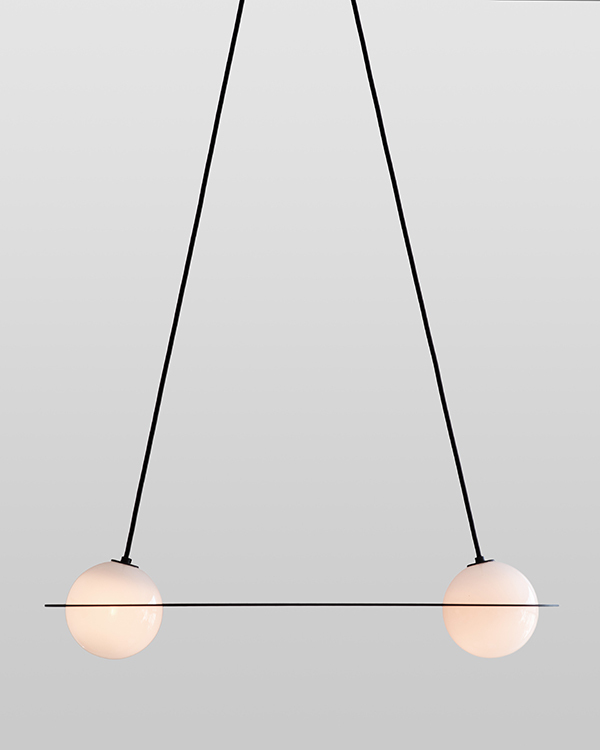 An adjustable suspension system of wires and anchors allows the pendant’s final form to vary, from a pure, minimalist orb to something more intricate and Art Deco. 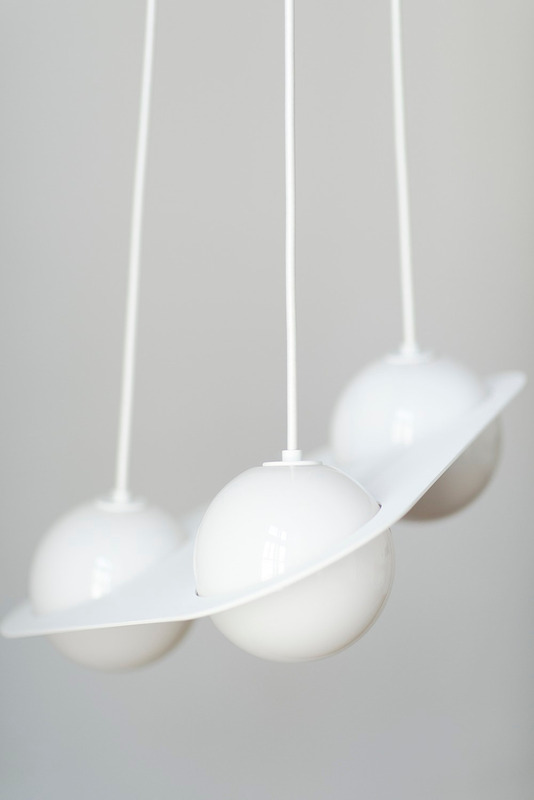 “Our research focused on the surface and the form. 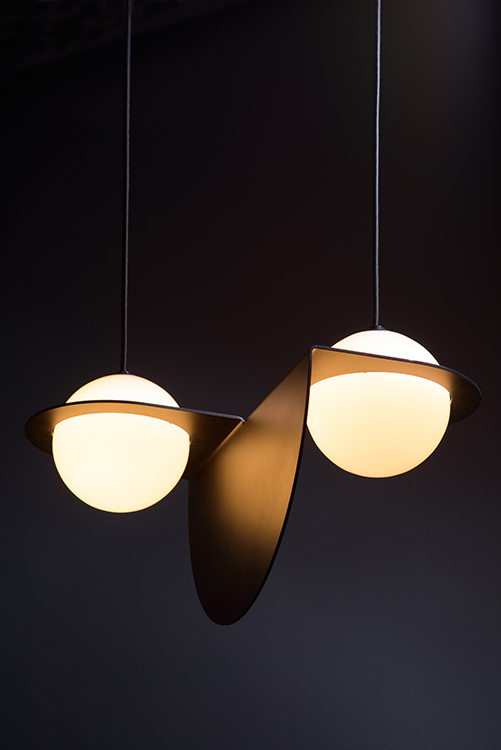 Here, the globe acts as the link between the two,” says Samuel Lambert, the studio’s founder and lead designer. 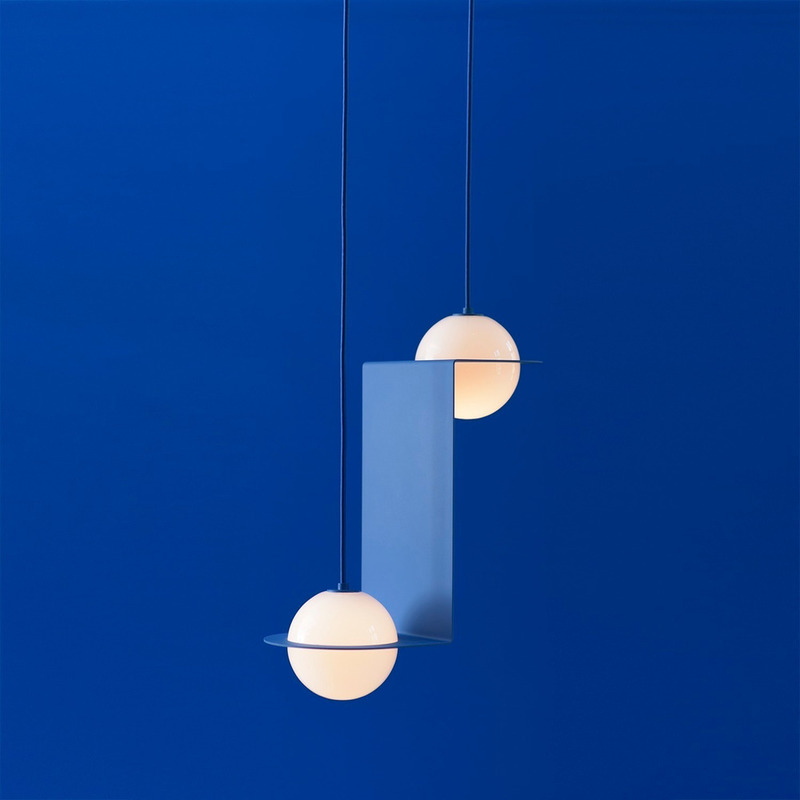 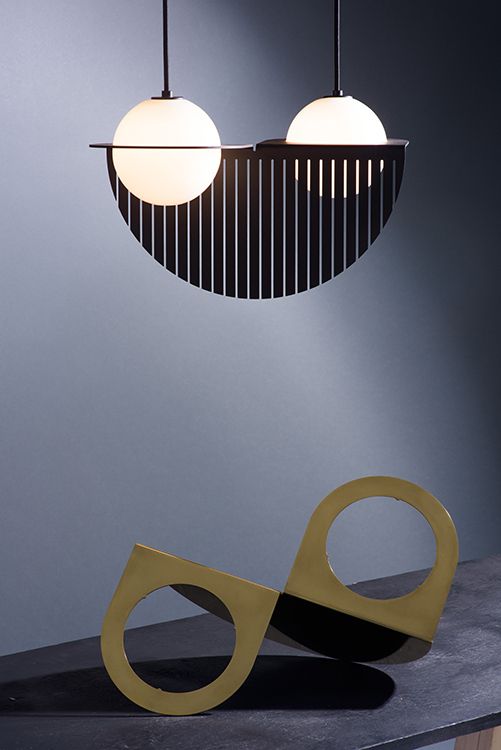 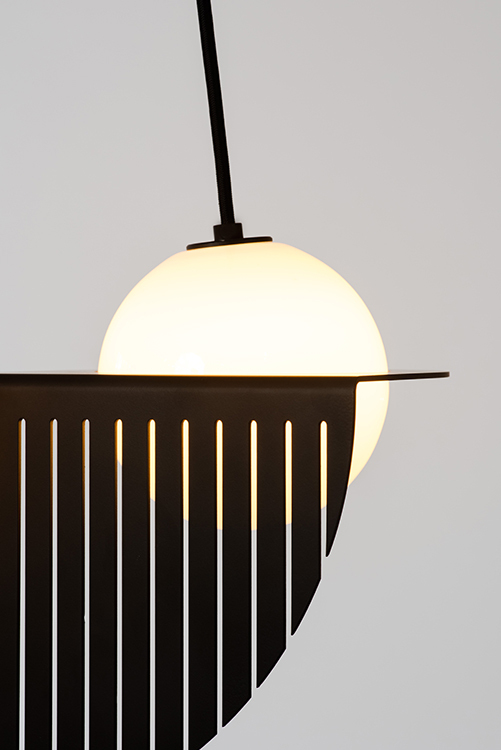 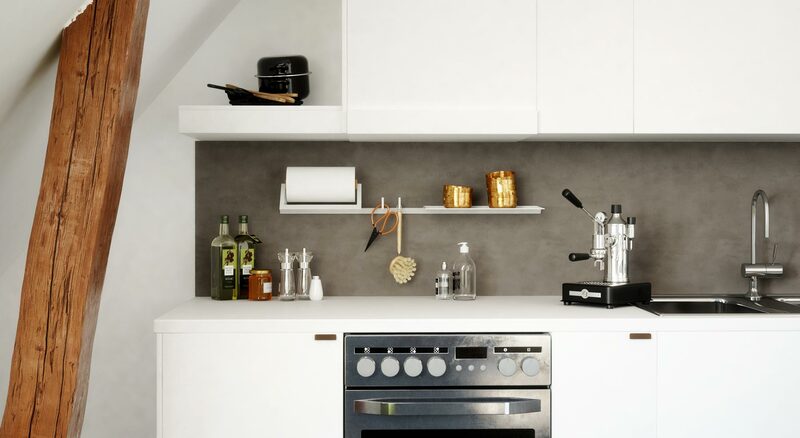 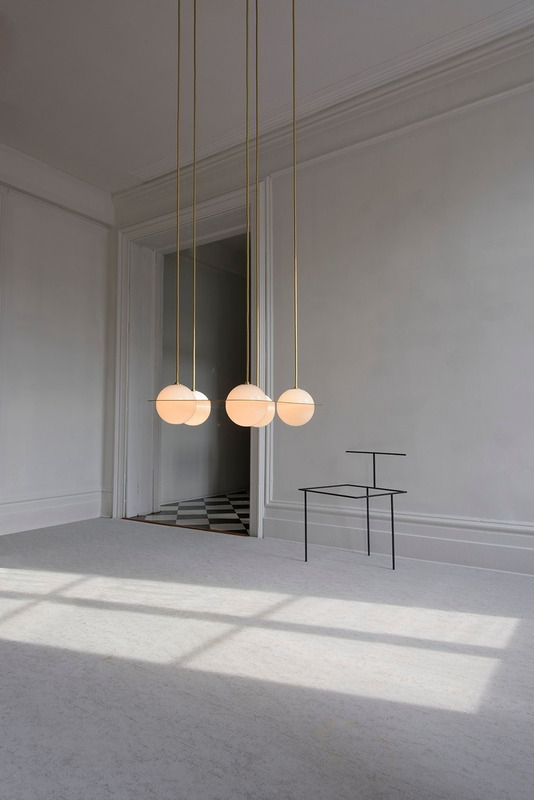 The different variations make it an apt lighting fixture for the home as well as for applications in the public realm where Laurent can really take on its fullest dimension through a rhythmic repetition.